"Our RFID transponders are OEKO-TEX® Standard 100 certified "
Flexible UHF Transponder “NOVO”, Patch version, round module, 75x20mm. The FT 301 is the latest in the NOVO LaundryChip transponder family for the textile services market. These ISO 18000-6C compliant, UHF tags allow for high speed, bulk reading in industrial laundry applications at read distances of up to six meters (or 19 feet) without requiring a direct line of sight. These soft, flexible and thin tags can be applied quickly and easily in multiple ways - sewn, heat-sealed or pouched - according to your wash process needs. NOVO was designed specifically to meet the rigors of high volume, high pressure wash workflows to help extend the life of your assets and have been tested in real-world laundries for over 200 cycles to ensure guaranteed tag performance and endurance.Datamars UHF solutions can offer RFID to industrial laundries for a lower capital investment than what is typically expected from RFID, and offer better long term ROI than conventional ID systems. 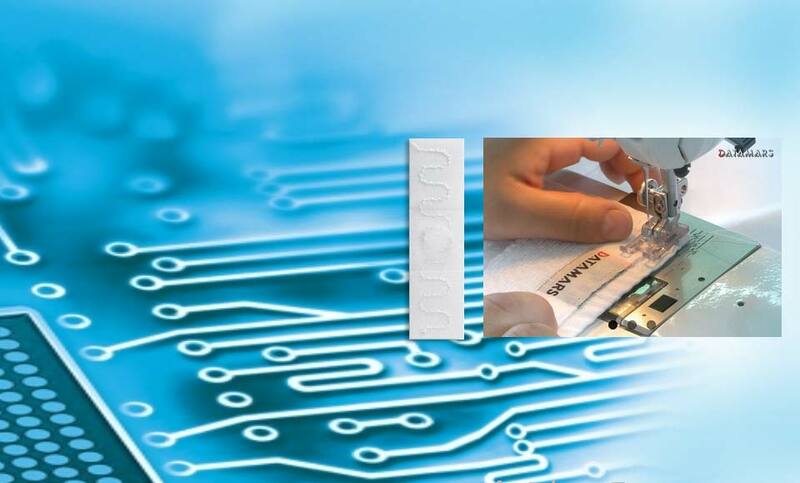 FT301-ST: Flexible, slim UHF Transponder “NOVO”, Source-tagging version, 70x15mm. FT301-ST in pouch: Flexible, slim UHF Transponder “NOVO”, preloaded in textile pouch with woven RFID logo. The FT 301 is the latest in the NOVO LaundryChip transponder family for the textile services market. UHF tags allow for high speed, bulk reading in industrial laundry applications at read distances of up to six meters (or 19 feet) without requiring a direct line of sight. Tested for over 200 cycles in real laundries! Rugged UHF TrolleyChip, blue ABS housing. As part of our complete UHF transponder line for industrial laundries, Datamars is proud to offer the new UHF TrolleyChip (T-TC860 and T-TC900) that has been especially designed for tracking of standard laundry carts in the laundry and at the customer’s premise. Thanks to its robust design, the tag can be easily attached to metal trolleys and offers unprecedented reading performance.